" Your wish is my command: https://en.m.wikipedia.org/wiki/I_Am_... "
" Colleen wrote: "So in book two, how does the toxic wasteland come about?" How did it come about in-world or how did I as a writer decide to create it? Colleen wrote: "So in book two, how does the toxic wasteland come about?" How did it come about in-world or how did I as a writer decide to create it? Though I guess the answer is the same either way: One of the things I learned from a research source I mentioned earlier (The World Without Us, by Alan Weisman) has a section about the city of Houston, which along with Galveston contains the largest oil refinery and storage complex in the world. That complex is locked down under layer after layer of safety systems, but without someone around to take care of them those systems will eventually and inevitably fail, and then all it takes is one spark--from lightning or a wildfire or even just a really hot day--and Houston will light on fire and burn literally for decades, if not centuries. There's just too much fuel in one place to NOT burn. The end of that section includes an ominous comment along the lines of "And what happens to all of that toxic smoke? Just grab a weather map and follow the wind patterns." So I grabbed a map and followed the wind patterns and realized that all those decades of toxic oil fire smoke would just rush up the eastern edge of the Rocky Mountains and sweep out across the midwest. Checking with a few other sources confirmed that a toxic wasteland in the center of America is almost a certainty in this situation, and that it would last forever. Once I had that tasty little nugget of info, there was no way I couldn't put it into my series. ...more "
Dan Wells voted for Over Your Dead Body (John Cleaver, #5) as Best Horror in the Final Round of the 2016 Goodreads Choice Awards.
" Thanks, all of you. It thrills me that other people are as excited about this as I am. I'll post more information the second I have it. " Dan Wells made a comment on Bluescreen Early Access: Sahara!
" Honestly her lesbianism barely comes into play in the first book. I didn't want to treat it like big deal, it's just a part of who she is. " We’d love your help. Let us know what’s wrong with this preview of The Wee Free Men by Terry Pratchett. 'It means you're a freak,' he said. 'Shut up,' said Rob. He was still acting tough, but I could see his bluster was starting to fail. He didn't know what to say. You're going to be at my local bookstore (Books for Less) on Monday. I hope you have a great experience meeting fans in Georgia. Thanks for coming and supporting small book stores. Thank you so much for accepting my friendship, I really appreciate it! Have a wonderful day, enjoy the rest of your week! Thanks for accepting! 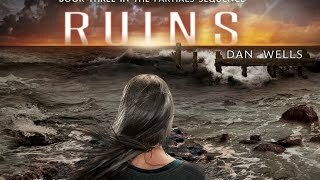 I absolutely LOVED Partials, and I can't wait for Isolation (0.5) and Fragments! The covers are beautiful! 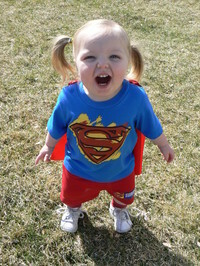 The little "Super Girl" in your profile picture is so adorable! Thanks for adding me as a friend. I love Writing Excuses, by the way. It's been very helpful and fun to listen to. Can't wait to get my copy of I Don't Want To Kill You in. I just love the series. Butterfly Joi wrote: "Hey Dan, wanted to say hello and tell you how much I enjoy your Writing excuses podcast. It is so much fu but also very helpful and makes me see writing devices in a different way. I wanted to subs..."
We don't have any RSS functions on my website yet, but we will eventually. And yes, please feel free to use any ideas we come up with on the podcast. Good luck with your writing!